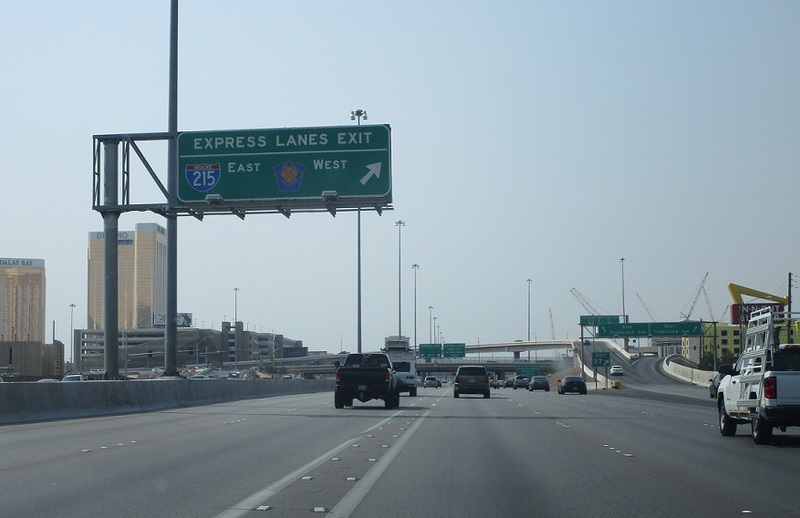 At the 593 interchange, traffic headed from the express lanes to the 215s is urged to get over. 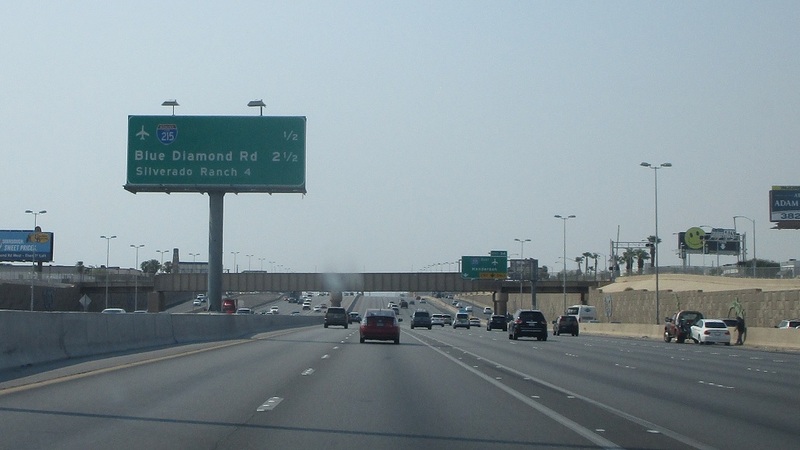 Follow I-215 east for the airport. 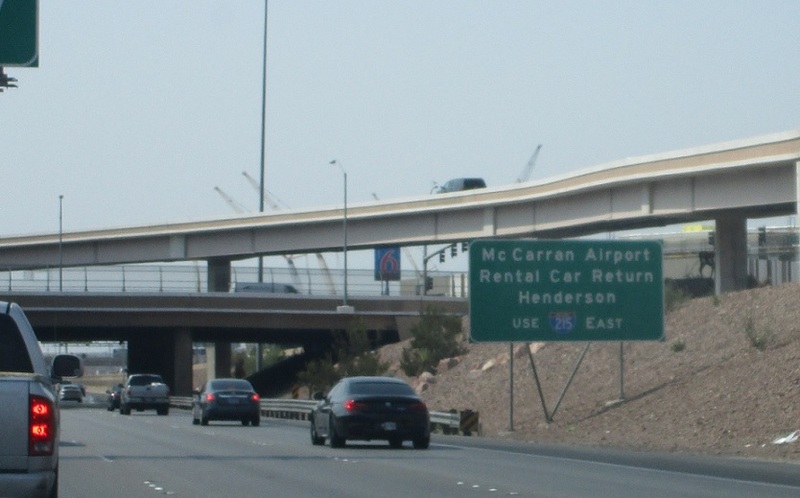 Exit ahead for CC 215 west and Russell Rd. Exit for SR 594/Russell Rd and CC 215 west. This is really a messy, spread out interchange. 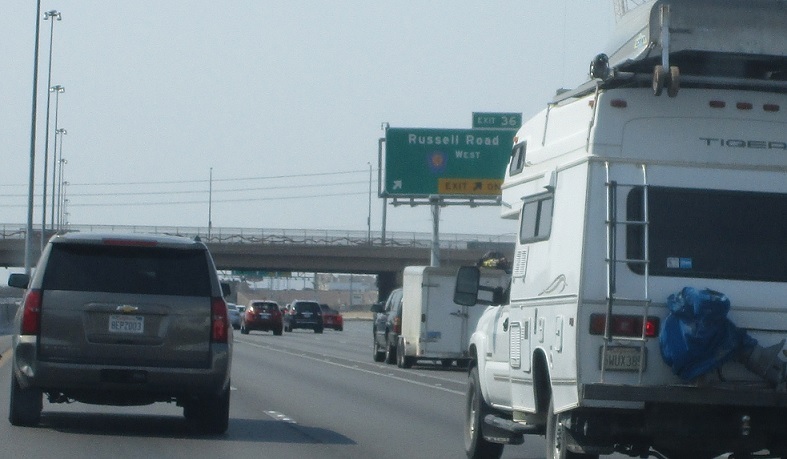 We’ll approach I-215 west in another full mile! 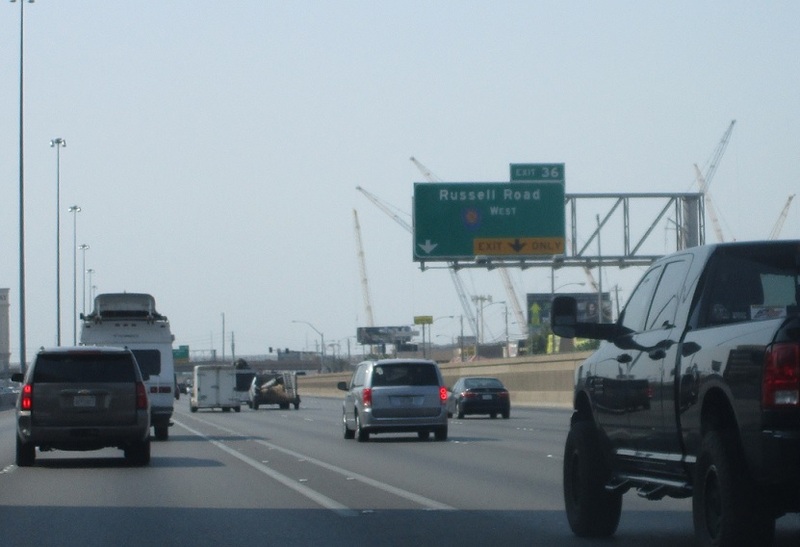 Airport traffic should again use I-215 west. 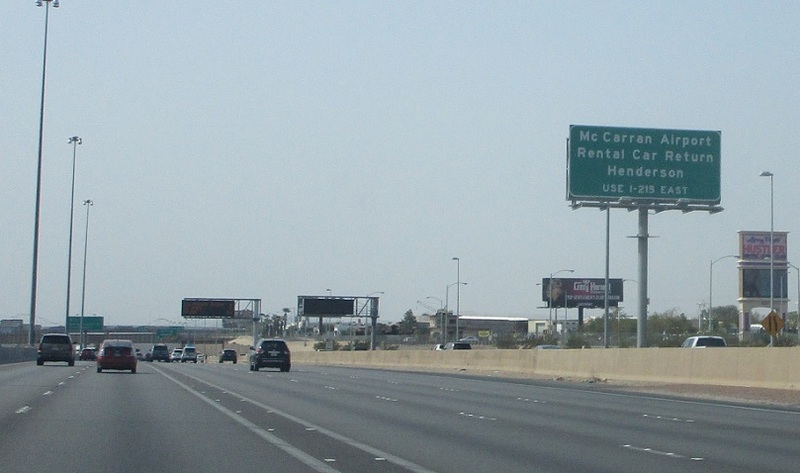 1/2 mile to the I-215 split. 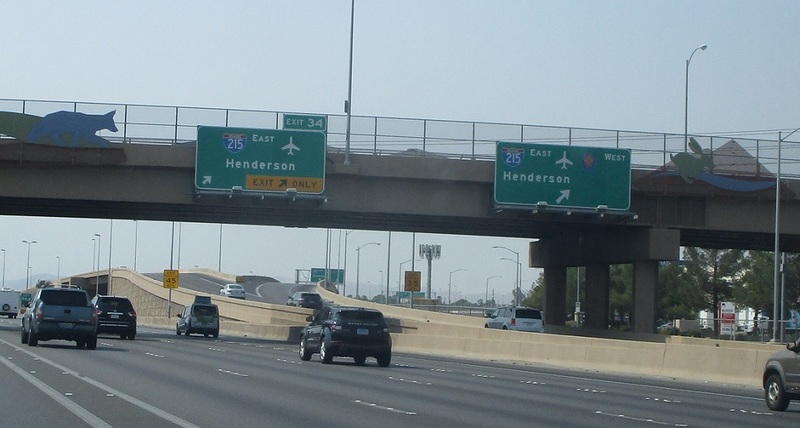 Follow 215 east to the airport and Henderson. 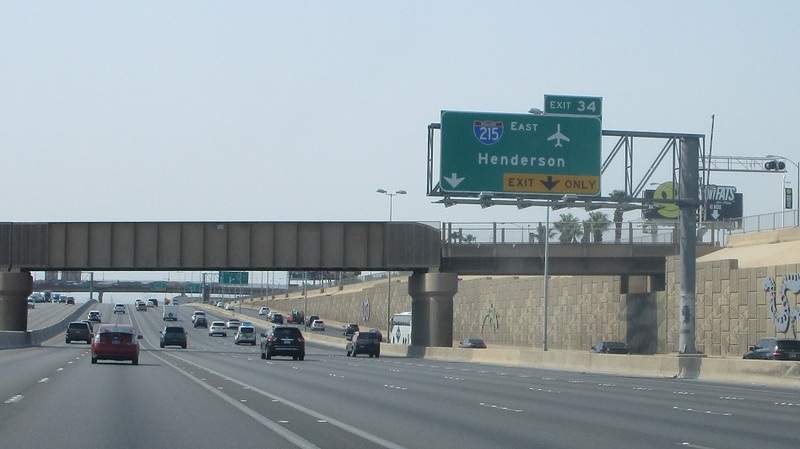 Exit for I-215 east as CC 215 traffic also finally splits off from the other side of the jersey barriers.